The real sound of Christmas, for me, is not bells ringing or choirs singing, but the sound of corks popping. All it takes is one, somewhere in the background to cause a little jolt of excitement, and maybe just a twinkle of mischief. Because Christmas is a time for putting your worries to one side and celebrating what you’ve got. We may not have as much to play with as before, but that shouldn’t mean that we can’t still have fun! With that in mind, here is a list of Champagnes and sparkling wines that not only represent great value for their price, but also deserve a place among your Christmas Season wines. This is a perfect choice for entertaining of any kind. Not only is it everything a Prosecco should be- fresh, frothy and fruity- this is also frizzante. This means that is has a softer spritz or fizz than most sparklers, and as a result, attracts a lower rate of duty from our lovely government. So, the same producer will make both a Spumante (Sparkling) and a Frizzante (less sparkling) but the latter can cost up to €5 less in a shop. Don’t be put off by a screwcap on your Frizzante – just be prepared to drink up – the bubbles won’t last as long. As we all know, over the course of the last decade, Champagne sales have significantly fallen and Prosecco sales have rocketed. All well and good, and to be expected. But for some reason, Cava seemed to miss out on the cheaper sparkling wine boom. This is a great pity, not only because there are some wonderful wines being made, but also because they are much closer in style to Champagne. Usually produced from native Spanish varieties such as Xarel- lo and Paralada, although some include a little Chardonnay, Cava often displays some of the lovely biscuity, yeasty flavours found in great Champagne, alongside pear and apple fruit. It is also light enough to drink by itself, or, if you’re feeling indulgent, with breakfast. One of the most famous names in Champagne, and with good reason. Bollinger have been doing things their way, and producing their distinct style of Champagne regardless of trends or fads. The blend is dominated by Pinot Noir, providing a structure and ‘vinous’ quality not often found in NV Champagnes. In fact, it is often described as being more “wine –like” than many of its peers. This is most certainly true when it comes to food. On its own, Bollinger is without question one of my favourite Champagnes, however, when paired well with food it becomes one of my all time favourite wines. It is especially wonderful with shellfish such as lobster and prawns, but also works with poultry and even some cheese. One of my finds of the year, and, as a style of wine criminally undervalued. Produced from the Moscato grape in Piedmonte, this is a lightly sparkling, lightly sweet dessert wine. Bursting with flavours of peach and apricot, and with a lively citrus twist, this is one of the most refreshing wines I can think of, and ideal for when you’ve eaten a little too much, but not yet ready to give up. It is also only 5.5% alcohol, so there is no excuse not to try it. Sec Champagnes have never really taken off in Ireland but that is all about to change. Yes, “Sec “ means sweet, but these should not be thought of in the sense of traditional sweet wines. Taittinger are renowned for their delicate yet powerful Champagnes and this is no exception, with flavours of peach and white flowers, followed by a subtly sweet, but distinctively smooth and mellow finish. Designed, and perfect, for drinking long into the night! 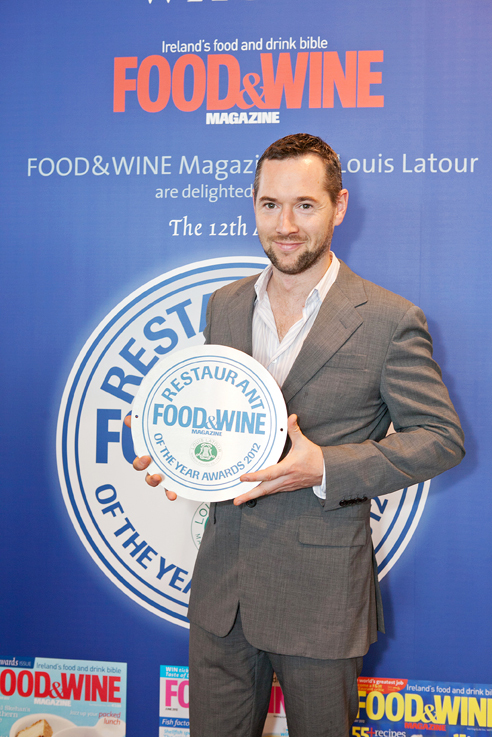 Award winning sommelier Ian Brosnan will be teaching our 4 week wine appreciation course in January and February. Great for those who love wine and would love to learn more. We examine how wine is made, where it comes from, why we like it and why sometimes we don’t. ely provides a fun, fresh and sociable approach to wine tasting. Each evening we will taste 6 wines with a retails value of €15 – €50, serve a supper dish to match the wines and provide full course notes. The course is held at ely bar & brasserie, IFSC on Tuesday evening from 7-9pm. For further details please contact wineclub@elywinebar.com or call 01 678 7867. 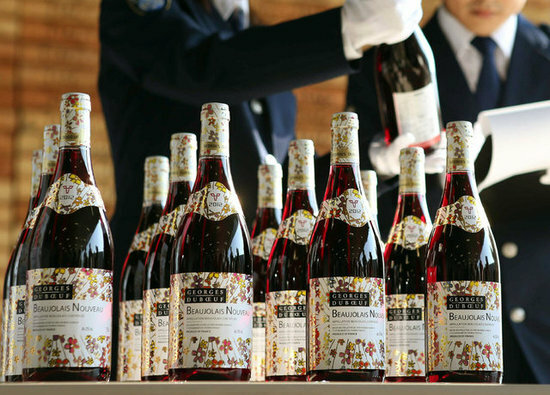 In line with French law, Beaujolais Nouveau is released around the world on the third Thursday in November and is the ultimate ‘vin de primeur’! Beaujolais, made using 100% Gamay grapes, is hand-harvested and vinified using a method known as whole-bunch berry fermentation. This creates a wine of vibrant colour and brimming with raspberry, blueberry, cranberry and pear fruit. It’s light in body and tastes delicious served slightly chilled. Georges Duboeuf popularized Beaujolais wines, leading to Duboeuf’s nickname of Le Roi du Beaujolais (The King of Beaujolais) or sometimes Pape du Beaujolais (Pope of Beaujolais)! Born in 1933 in the Poully-Fuissé appellation of France, he was raised on a small farm where his family owned a few acres of Chardonnay vines. As a child, he helped out on the family farm, cranking the manual grape crusher when he was just 6. Aged 18 he began delivering wine on his bicycle from producers to local restaurants. He began bottling Beaujolais to meet a customer’s commission, and went on to form a syndicate of 45 local growers, the Ecrin Mâconnais-Beaujolais. After organisation fell apart due to squabbling, Duboeuf became a négociant and in 1964 heformed “Les Vins George Duboeuf” which he still oversees. Georges Duboeuf represents over 400 wine-growers in the Beaujolais region. Beaujolais Nouveau’s perfect food match is with Brie and Camembert cheese. It’s also a great match with fish, salads and Christmas day dinner! 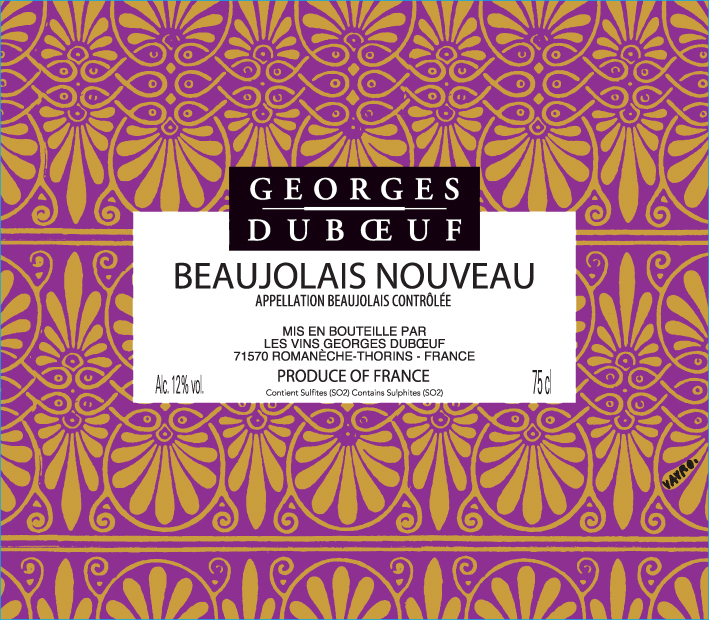 We have Beaujolais Nouveau available at all 3 ely restaurants for a limited time only. Pop into us and sample this delicious wine served slightly chilled.